Search Engine Optimization, or SEO for short, is constantly changing. It is ever morphing as algorithms are getting smarter for search engines such as Google, Yahoo!, and Bing. However, there are certain things you can do that can make an immediate impact right now. That’s why we want to give you 10 SEO tips for your website. Disclaimers: 1. This article assumes you have already done your keyword research and know what keyword(s) you want to target in order to be found on search engines. 2. We go further in detail on a lot of these SEO tips in an article we wrote entitled Content And SEO: What You Need To Know. We highly suggest you read that article too! Also, keep in mind the length of your title. Research shows that your page title should be between 50 and 60 characters. Anything more and the title will not show in its entirety on search engines and thus you will lose out on users getting to your site simply because they are unsure if your result is what they are looking for. Every image on your website should be uniquely named and contain your keyword(s). If you are selling a baseball bat, then you should have at least one image of the bat on your website and it should have the name of the bat with the words Baseball Bat in the title. Image ALT Tags are a snippet of text where web browser readers tell visually impaired users what your image is. Include your keywords in the ALT tags and then describe what the image is. Each page should have a minimum of 300 words. You would be surprised how easy it is to write 300 words. In fact, by the end of this sentence, this article on SEO Tips already has 398 words. Mix your keywords in that content. But do NOT force them. Make them flow easily so the reader has a good experience. If your site is hard to read because of the random keywords thrown in then readers will bolt and find an easier article to read. Don’t just write something to write something. Do your research. Find resources (we’ll get into that later). Don’t just have a page with one paragraph and a button. Quality of content is a very big deal to search engines and user experience. One of the most common ways to ensure your site will not get found on search engines is to have a page with low-quality content. You should be constantly adding content to your website. Do not let your website sit idle. Write and write often! If you are selling baseball bats, write about your individual products, write about tips for the perfect swing, write about why the bat flip is or isn’t ruining the game of baseball. Just write! The more content you produce, the more eyes on your website, the more trust you build with a user, and the more chances that a user will purchase. Your pages and posts should have what are called internal links. These are links that point to other pages and posts that already exist on your website. Remember reading the disclaimer right before SEO tip number one? There is a perfect example of an internal link to another article we have already written. Internal links are important because they allow users to navigate a website, help establish an information hierarchy, and help spread ranking power on a website. You should also be using external links. As we stated in SEO tip #5, do your research. Find other experts in the field and then give them credit when you learn something and pass on that knowledge on your site. Providing external links creates a sense of trustworthiness for the user and search engines alike. Bonus Tip: If you choose to link out to a website, industry professional, or company, let them know! They may post a link to your blog on their own social channels boosting the visibility of your content. Using social media platforms such as Facebook, Twitter, LinkedIn, etc. will bring users to your site. This tells search engines that you know what you are talking about. Then, in return, search engines are more likely to consider you an authority on the topic and will give your site precedence over the competitors. Find a blogger who reviews products or items in your industry. Let them know that you have written an article on the subject or just produced a product on the subject and encourage them to write an honest review and link your site on their blog. If your website isn’t product-driven but is instead idea-driven, find someone who writes about that topic and let them know that you have weighed in on the idea as well. Encourage them to consider and review your idea. 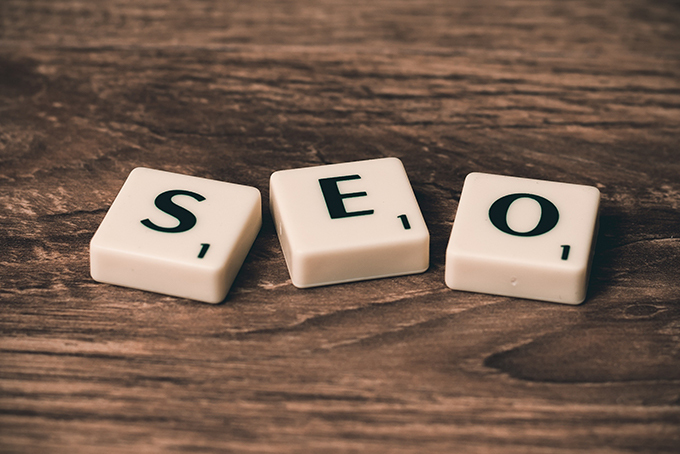 There is a lot more to consider when thinking about SEO, but if you start with these first 10 SEO tips, you will be starting down the right path! Ready to get serious about SEO? Get started with our special SEO Training Course.